The Hannen Room was packed at the October meeting of the Wargrave Local History Society to hear Pam Cardy give an interesting personal history of the Sheeplands Farm and Farmshop. Pam began with by explaining that the family had originally been farmers at Bedfont, Staines, and also had a farm at Pyrford, near Wisley in Surrey - her grandfather, father and his brother being involved. The family started farming in Wargrave during the winter of 1962, taking over Sheeplands Farm from Walter Wingrove. The family farmed as market gardeners, growing vegetables. At that time there were lots of growers - but there are now relatively few, making it harder to source produce locally. Vegetable growing is labour intensive - and hence expensive. At the turn of the century, the vegetables would be taken by horse and cart from the farm to the market at Covent Garden, and leaving at 9am would be back at 2pm - the horse knowing the way! Subsequently, motor lorries took over the transport, and would be crammed into the area around the market with not an inch to spare. The Bennett family would send 3 lorries daily. Sheeplands Farm - which had at one time been called Yarrow Farm, had been owned by Henry Bond in the early 20th century. It then passed to Fred Headington - the Headington family still farming at Paley Street, and then to Walter and Jean Wingrove, who kept milking cows and pigs, and also grew corn there. Hunts would take place across the farm land - Lord Remnant leading one annually to hunt for hares (although there are none now). Amongst the farm workers was Bill Champion, who spent all but 4 years of his life on the farm. His wife had come to the village as a member of the Land Army during World War 2. Robert Bennett then took over the farm, with his son Paul and daughter Pam. They were helped in working the land by Italians, who lived in caravans on the land behind fences on the site. The hedgerows were taken out to open up the views across the farm, which stretches from the apex at the Mumbery Hill/ A4 junction to the Wargrave, Twyford road, and beyond, around behind the Piggott School and the far side of the branch railway line down to the River Loddon - about 400 acres in all (which is a large farm for vegetable growing). Although some potatoes were grown when they arrived, the fields were soon put to vegetable crops. Sometimes the crops would stolen - as on one occasion when Robert approaching from the A4 along Mumbery Hill came to the beetroot clamp, and saw a man helping himself. He said to the man that 'they look nice beetroots', and had the re-sponse that 'yes, they cook up lovely' - clearly not the first time they had been 'raided'. On another occasion, the local policeman saw people taking rhubarb - who tried to escape�by going up the farm road. The "Sun" reported this, describing the land as a "rhubarb patch" - a large 'patch' at 40 acres! By the 1970s vegetable growers were struggling to make a living, and so had to diversify. Ian Simpson, manager at Kennedy's Garden Centre, commented to Mrs Bennett that 'what we need is a good farm shop', and so Sheeplands Farmshop opened for business on May 5th 1981. The family had no experience of vegetable shops, but learnt quickly, and had the support of a lovely team of staff - many being pupils from the Piggott School. The family wanted to expand what was on offer - and, for example, found a supplier of 100 varieties of cheeses from Crediton, who they still use. Other additions to the 'range of produce came in response to customers inquiring 'do you do this or that?' The shop was begun by Robert, Paul and Pam, and Pam's son Andrew joined the business 10 years ago - with lots of ideas for change. One idea was to offer frozen fruit and veg. They knew that Robert would not like that - so they waited until he was on a trip abroad, and Andrew's brother, James - a local builder - arranged to start demolishing the rear of the shop as soon as the plane left Heathrow! An extension was built for the freezers, and proved to be such a success that Robert could not object when he returned - telling customers it was 'One of my better ideas'. Another of Andrew's ideas was the famous and very life-like cows that stand outside the shop! Sadly, after 26 years on the site, Wyevale terminated their lease. 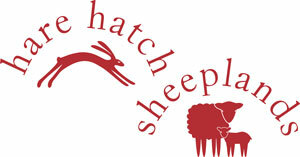 Robert Scott, at the Hare Hatch Garden Centre �was looking for a new partner, and so a new partnership was arranged, and the Sheeplands Farmshop moved across to the other side of the A4. The move was a 'fantastic operation'. Starting at 3pm on a Sunday, friends appeared to help, and all the freezers etc were moved to the new site, ready to open at 8am the next morning. Meanwhile, Emmetts (who employed a lot of Indian workers) used the farm to grow a lot of lettuce and other produce. They also had farms in Spain, but have now moved their work to Lincolnshire. Now most of the farm is used by Pam's cousin, Mark Hall, based at Heathlands Farm at Wokingham. This is a big operation, growing strawberries and raspberries for the large supermarkets, and makes use of hard working east European workers. The rest of the fields are used by David Philp of Waltham St Lawrence to grow corn, the need to diversify has led to the barns being used for local small businesses, such as a pottery, printers, photographers and upholsterers.